The importance of letting the sun shine! Studies show that most people are deficient in Vitamin D. Scientists also say that there can be serious consequences to this deficiency. Vitamin D is known as the sunshine vitamin, because humans have the ability to manufacture their own when exposed to direct sun light. 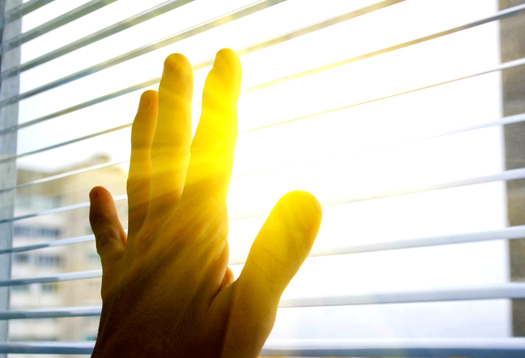 Vitamin D deficiencies are believed to be related to numerous factors including urbanization, decreased outdoor activity, air pollution and global dimming, as well as decreases in the skin’s ability to produce vitamin D with advancing age. Vitamin D is essential for promoting calcium absorption in the digestive system and maintaining the normal calcium mineralization of bone. It is also needed for ongoing bone growth and bone remodeling. Together with calcium, vitamin D helps prevent osteoporosis. Vitamin D promotes normal neuromuscular function and a healthy immune system. It is also important in reducing inflammatory responses in the body. Studies also point out that vitamin D supplementation becomes increasingly important with age. One such report published in the June 23, 2008 issue of the Archives of Internal Medicine, showed that low levels of vitamin D deficiency were strongly associated with both cardiovascular mortality and all-cause mortality. According to the same report, an estimated 50% to 60% of people are deficient in vitamin-D.
Vitamin D levels are increasingly being tested as part of a yearly check-up. Deficiencies can be modified by supplementation.